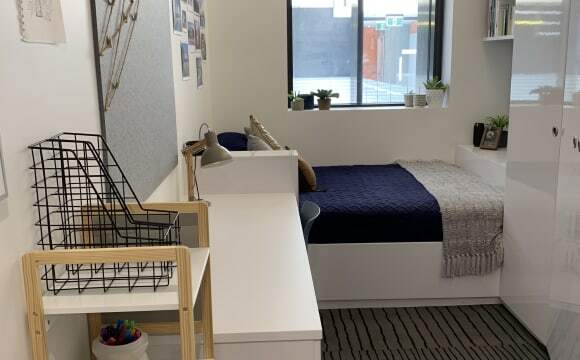 SHARE APARTMENT SCAPE SOUTH BANK Available early June - Lease takeover $319 a week (includes all bills/unlimited internet) *normally $329* Lease end February 3rd 2020 Free daily breakfast and bus to UQ and IES ROOM: Spacious with double bed, built in cupboards, ensuite, study desk, TV, hidden storage, air-con and Netflix. Large kitchen/loungeroom with oven, stove, dishwasher, TV, individual fridge/freezer. BUILDING: Many communal scapes to meet students from around the world. Extra kitchen downstairs, BBQ, pingpong, foosball, pool, indoor cinema, any time access gym, washing facilities, soccer goals, basketball court, herb garden and outdoor terraces with city views. 24/7 front desk service, high level of security. FREE EVENTS like Italian dinner, free food in general, personal training, beach trips, group activities (once was yoga with baby goats) and parties. LOCATION: 1 min walk to Southbank train and bus stations, TAFE, Grey Street and Southbank parklands with a pool, events and river views. 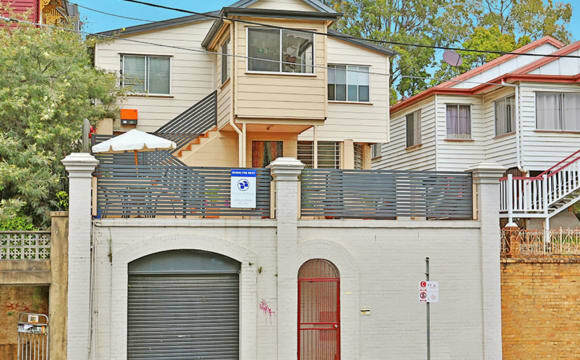 5 min walk to Ferry Terminal, Griffith and Woolworths Supermarket. 15 min walk to museum, botanic gardens and QUT. 20 min walk to city! 10 min bus to UQ and Kelvin Grove. Roomies all very tidy and respectful. Love a good kitchen chat. 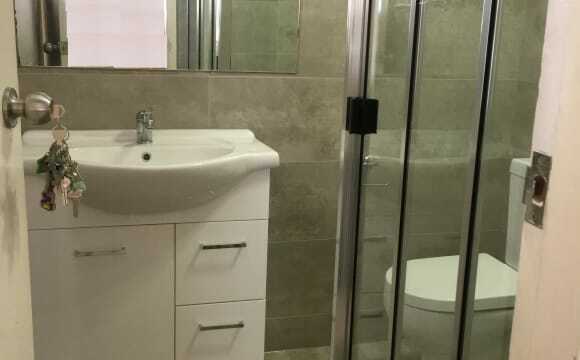 This room is in a shared apartment within Scape, it comes with an ensuite bathroom and a shared kitchen. This is a great social building with lots of activities to meet other students not only from all around Australia but all around the world. The building comes with a gym, cinema barbecue areas, study areas and rooftop areas with amazing views over Brisbane. South Bank itself is full of different activities from streets beach to great restaurants. This accommodation is close to QUT, UQ and Griffith University (South Bank) with free buses to and from uni. I'm looking for someone to take over my current lease, from around 20 May 2019 but this date can be flexible. The lease expires on 3 February 2020, with the option to renew past this date. All bills are included, and undercover parking is available for an additional weekly fee. This room is in a shared apartment within Scape, it comes with an ensuite bathroom and a shared kitchen. This is a great social building with lots of activities to meet other students not only from all around Australia but all around the world. The building comes with a gym, cinema barbecue areas, study areas and rooftop areas with amazing views over Brisbane. South Bank itself is full of different activities from streets beach to great restaurants. This accommodation is close to QUT, UQ and Griffith University (South Bank) with free buses to and from uni. My girlfriend Sophie is looking for someone to take over her current lease, from around 20 May 2019 but this date can be flexible. The lease expires on 20 January 2020, with the option to renew past this date. All bills are included, and undercover parking is available for an additional weekly fee. The room is located on the 3rd floor and is a 5 bedroom share; the most popular room provided by SCAPE. Your personal room has a double bed, private shower and toilet and has LOTS of storage. The common areas include a dishwasher, several fridges and freezers, oven and 5 plate cook top. The kitchen additionally has a large bench top and the living area features a large couch and 70 inch, Flat Screen, Smart TV. All areas are air-conditioned which can be adjusted in each room. All facilities available look BRAND NEW and its location is fantastic in terms of convenience. - Perfect for access to Griffith on Southbank and only a 15 minute walk to QUT at Gardens Point. - Southbank pools, the supermarket, restaurants, train/bus station are within a 5 minute walk. - Library, museum, QPAC and the Brisbane CBD are all within a 20-30minute walk. - Downstairs includes a slide, communal kitchen and dinning, private study pods, printer, games room, cinema and backyard. - Free Continental Breakfast (daily). - Laundry is $4 per Wash, $4 per Dry, with access to irons and ironing boards. - Loads of free activities. - 24/7 Front Desk Service. - Designated Smoking Areas are provided. There are currently 2 boys and 2 girls living in the apartment. For more images and information, please refer to the Scape Southbank website. 3-5 mins walk to : -South Bank train station - South Bank Bus station - South Bank tafe - USC -QCA Woolworths 10 mins walk to: - Cultural Centre Bus Station - South Brisbane Train Station - Qpac -QCM Has a gate in level 1 so it's is safe at night. - Fan included, with a Tv and a fridge. Located right next to South Bank Parklands. While there's no parking available, it's a two minute walk to the bus and train station, and a twenty minute walk to the city. The apartment is fully furnished, including a fully stocked kitchen, 50" tv, washer and dryer, dyson vacuum, piano, and BBQ. The internet is a very fast fibre optic line. The complex also includes a decent little gym. The room itself is unfurnished, but has a private ensuite, built in desk, and ample wardrobe space. Entertainment subscriptions include netflix, stan, and google music. The house is in a great location, minutes walk from the south bank station, woolies and restaurants. West End is also close by and the city is in easy reach. There is also a bus stop at the end of the road and a Night Owl shop, bottle shop and takeaway/restaurants within very close proximity. All bills are included in the rent and this also includes a monthly cleaner and gardener. Everyone just cleans up after themselves therefore the house is kept in pretty good order. The room and house is fully furnished, there is a TV and Netflix in the lounge as well as a nice desk and chair in the room. There are 3 big fridges to accommodate everyone’s food, plenty of cupboard space and kitchen utensils. Although only one bathroom, this isn’t a problem as the toilet is separate and there’s never a queue for the shower. There is a property manager that can be contacted with any problems or to get things fixed if need be. I am looking for someone to take over my lease which ends in July 10th because I would like to start traveling, but you have the option to stay longer if you want 😊 so there is no minimum stay but you will have to find someone to take over the room if you want to leave before the end of the lease (and pay an admin fee). Shared room with a your own key. Room available for rent in an awesome location! You can walk to the city from here! SOUTHBANK HOUSE!!!! $125/week includes electricity, 30gbps fast fibre internet, water, gas, furnishings! House is a comfortable cycling distance to UQ St Lucia campus, walking distance to QUT Gardens Point campus, Southbank TAFE, and Griffith University Southbank campus and off course the city centre. Southbank train station is only 2 minutes walk away. Major bus station 2 minutes away too, and other buses 50m away. CityCycle station 200m away for easy, convenient use of Brisbane City council bicycles! We provide basically all you need to live comfortably and clean! Furnished with bed, desk, shelving, wardrobe/clothes rack, stove, cooking utensils and pots and pans, fridge, washing machine, TV, microwave, kettle, toaster etc. Internet WIFI is free and fast!!! We can even help you out with linen (negotiable). There is a nice patio outside too. Please email me or leave an sms Short term stays are welcome (negotiable). International students are welcome! Couples are welcome to apply. No pets permitted. Please understand that this is more a quiet house which is good for study and not a noisy party house. You can just walk 2 minutes to Southbank and party there! Please email, message, or sms. Please do not phone because I may not be able to pick up. Thanks. Great for study. 350 metres to Woolworths and the train station. Quiet street. 15 minutes walk to the city! Own room with a key. Room available for rent in an awesome location! You can walk to the city from here! SOUTHBANK HOUSE!!!! $169 includes electricity, 30gbps fast fibre internet, water, gas, furnishings! House is a comfortable cycling distance to UQ St Lucia campus, walking distance to QUT Gardens Point campus, Southbank TAFE, and Griffith University Southbank campus and off course the city centre. Southbank train station is only 2 minutes walk away. Major bus station 2 minutes away too, and other buses 50m away. CityCycle station 200m away for easy, convenient use of Brisbane City council bicycles! We provide basically all you need to live comfortably and clean! Furnished with bed, desk, shelving, wardrobe/clothes rack, stove, cooking utensils and pots and pans, fridge, washing machine, TV, microwave, kettle, toaster etc. Internet WIFI is free and fast!!! We can even help you out with linen (negotiable). There is a nice patio outside too. Please email me or leave an sms Short term stays are welcome (negotiable). International students are welcome! Couples are welcome to apply. No pets permitted. Please understand that this is more a quiet house which is good for study and not a noisy party house. You can just walk 2 minutes to Southbank and party there! Please email, message, or sms. Please do not phone because I may not be able to pick up. Thanks. The rent is every 4 weeks that includes bills and internet, cleaning is extra. We are closed to South Bank station where you will have access to train and bus must of the available hours. West End is 10 min by foot. Tafe is 5 min far and UQ is about 15 min by bus. You are more than welcome to make an inspection or write me any question that you may have. FURNISHED HOUSE WITH SEPARATE ENTRANCE - INTERNET, ELECTRICITY, GAS AND WATER ALL BILLS INCLUDED It is very convenient location with buses and train station close by. Walking distance to QUT, Griffith universities, Woolworths, Coles and Lady Cilento Children's Hospital, Mater Private and Public Hospital. - 300m to Flight Centre HQ, Woolworths, Southbank restaurants. - 350m to Southbank TAFE, Griffith Uni QCA, Southbank Parkland Grey St - 500m to Lady Cilento Children Hospital, Mater Private Hospital. 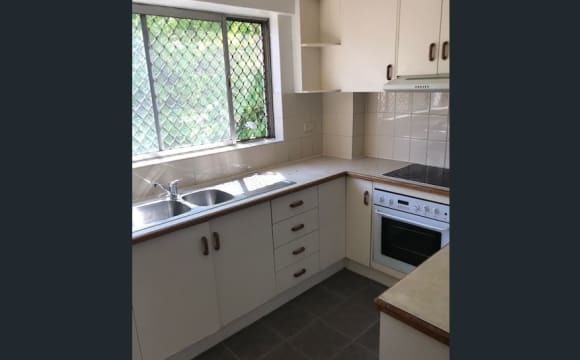 - 800m to QUT GP and CBD - $230 for single person / 1 bedroom - $300 for a couple / 1 bedroom - NO party house, sorry :) - It is a quiet place so we would like someone quiet, clean and respectful to others - 5 minutes walk to South Bank TAFE and 20 minutes to city. Supermarkets, pharmacy, markets, and so on. 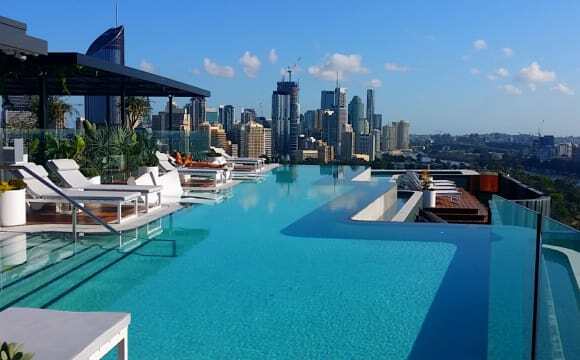 Ultra luxury apartment building with breathtaking rooftop views of Brisbane city and rivers. Convenient location with 1 minute walk to City Hopper ferry terminal, 7 minute walk to South Bank train station (with direct link to Brisbane airport), and 9 minute walk to bus station. 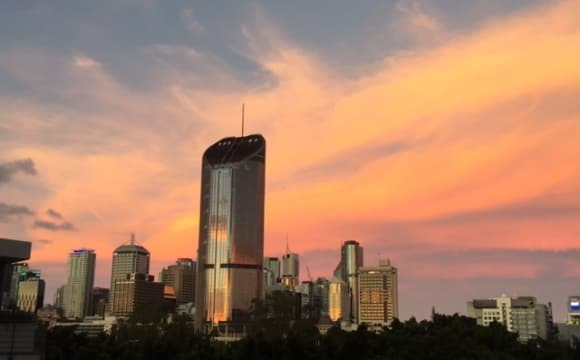 The building features a rooftop club with pool, BBQ, fitness centre, dining room, cinema room, herb garden, and several relaxation areas all overlooking the Brisbane River and CBD. The apartment features custom designed chef’s kitchen, 2.7m plasterboard ceilings, full height double glazed external glass windows and doors, and fully ducted heating and air conditioning. Room with queen size bed $300 per week for single or $400 per week for couple. Available from 21 April 2019. 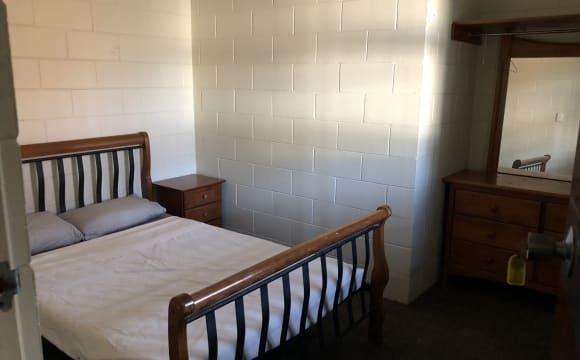 Room with single bed $265 per week. Available from 23 June 2019. Room sizes are approximately 3m x 3m and they are furnished. Estimated walking time to nearby points of interests: - Mater Mather’s Hospital (1 min) - Queensland Children's hospital (4 min) - South Bank and River Quay dining (5 min) - Woolworths Supermarket (7 Min) - Queensland University of Technology (12 min) - Brisbane CBD (12 Min) - Botanic Gardens (12 Min) - Logan Road Dining and Antique Precinct (12 min) - The Gabba Stadium, Wooloongabba (15 min) - Brisbane Convention and Exhibition Centre (16 min) - University of Queensland, St Lucia (18 minutes by bus and the bus comes every 10 minutes) Imagine yourself relaxing after a big day in the rooftop club or lay on the beach at the lagoon pool by the river. This is the place for you! Located in the heart of one of Brisbane's most vibrant inner city suburbs, this house share has nothing to do but move in and enjoy the 4101 lifestyle. * Multiple living areas * 2 bathrooms separate male and female * Brisbane State High catchment There are endless choices for dining and entertainment with West End's Boundary Street and Hardgrave Road just minutes away. South Bank Parklands and South Brisbane's performing arts precinct including GOMA, the Queensland Museum and QPAC are all within walking distance. In the midst of Brisbane's 3 top schools - Brisbane State High, St Laurence's, and Somerville House. It is a sharing $370 couple accepted or 2 friends All bills included and it is a fully furnished apartment. You can have free used of the swimming pool, spa, gym, BBQ and theatre. It is a 10years old apartment very clean and tidy with one elevator. The room itself has air-condition/heater. You can view the convention center from the balcony.